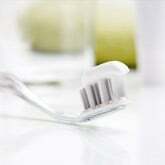 DentalPlans.com provides a hassle-free way to search our huge dentist directory to find a dentist in Tiverton, RI. Enter your ZIP code above to find a money-saving discount dental plan and participating dental care providers in Tiverton, RI. Choose the discount dental plan that is best for you and enjoy discounts of 10% to 60% on most dental care services at dentists like Dr. Norman A Cote. Simply visit Dr. Norman A Cote or any other participating dentist in Tiverton, RI to enjoy savings on General Dentistry according to your plan's fee schedule. The 30+ plans featured on DentalPlans.com are dental insurance alternatives that can provide you with significant savings on most dental care procedures like on General Dentistry and more. By searching our large dentist directory, you can find the most dental care providers in combined networks anywhere! So if you need to see a dentist or specialist about a teeth cleaning, fillings, root canal, dental crown, braces, or even dentures, we can easily help you find a dentist or dental care specialist in Tiverton, RI.